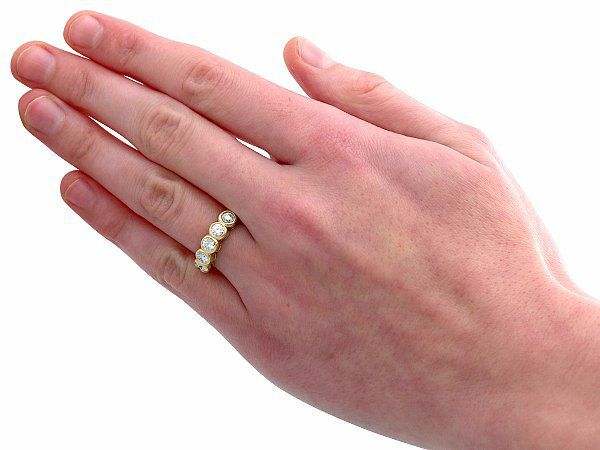 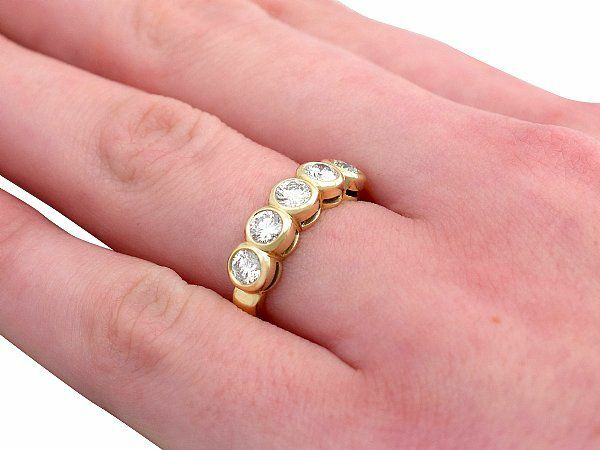 This ladies vintage five stone ring has been crafted in 14 ct yellow gold. The ring displays five collet set modern brilliant round cut diamonds. The substantial pierced decorated mount, accented at each shoulder with a subtle notch, blends almost seamlessly with the plain hallmarked shank. 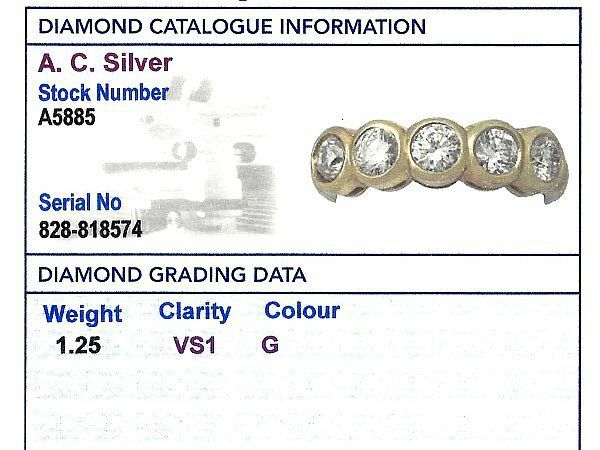 The 14 ct fineness mark (585) is struck clearly to the interior of the shank. This vintage five stone ring is a good gauge of gold, set with very high colour graded, very high clarity graded diamonds. 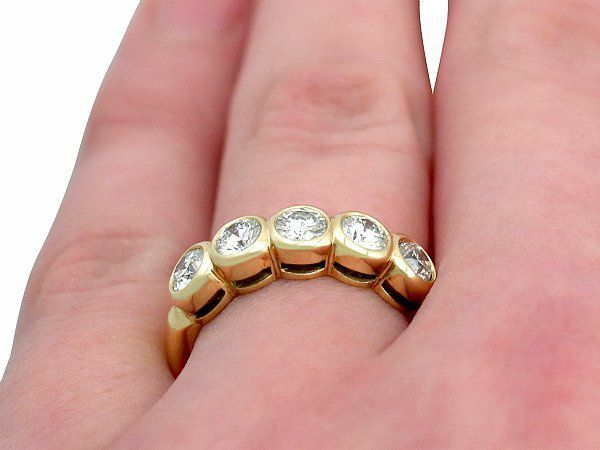 The ring is a good gauge of gold and is in excellent condition, with a clear hallmark. 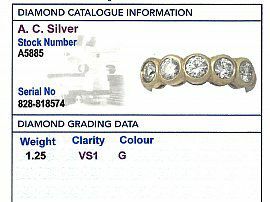 Reflections in photography may detract from the true representation of this example of diamond jewellery / estate jewelry.